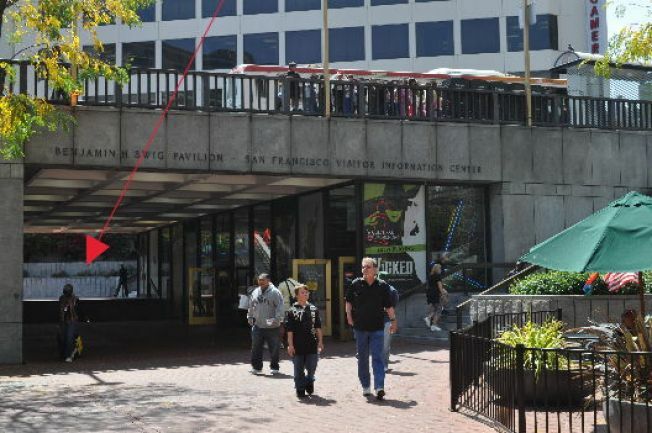 In an effort to de-grime the griminess that is Hallidie Plaza at Powell Station, the city's considering decking over the west part of the plaza and using the newly created dank cavern to house a groundwater tank. Then on top of the deck would go the kind of stuff that everyone likes to see: cafe seating, performances, a bike station. The groundwater tank would be a massive 480,000 gallons and would save up all the water flowing through Powell Station rather than letting it all go to waste. Then we'd use all that free H2O to spray down streets and water flowers. At the moment, the proposal's in its "conceptual stage," but estimates are that it'll cost between $3 and $5 million to complete. Pretending the "unsavory" part of the plaza never existed, however: priceless.